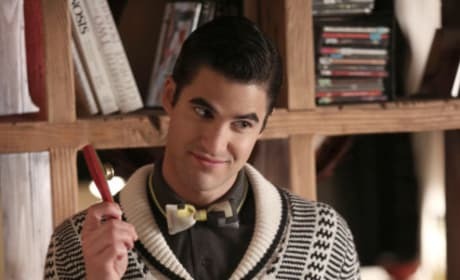 Darren Criss is seen here as Blaine. 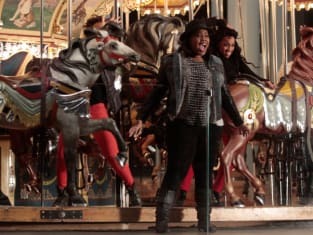 It's a photo from the Glee episode "Bash." 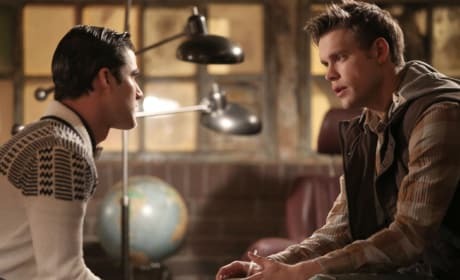 Blaine and Sam confer in this scene from Glee. It's courtesy of the episode "Bash." 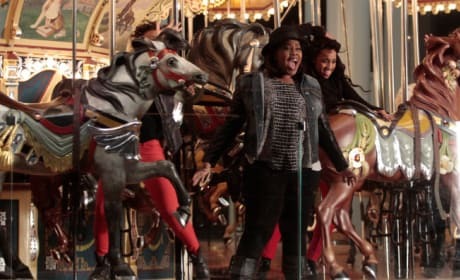 Mercedes performs on the latest Glee. "Bash" is the 15th episode of the show's fifth season.